If you are a Partner and would like to add a new client to your Partner group, please see the following steps. Click on the Partners module link at the top of the menu. 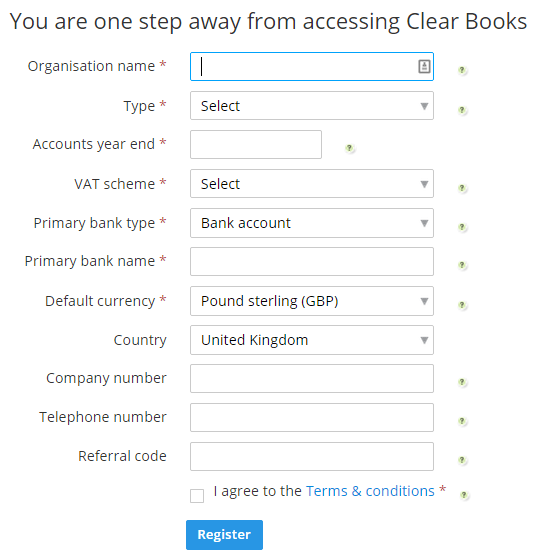 Navigate to Clients > Add client > Clear Books client. Enter the client's business name and select the account type. The client will then need to be registered in the same way that all new businesses are registered on Clear Books; by completing standard sign up details such as VAT scheme. New users can now be invited into the client account.